Who could defeat the Six Paths of Pain without intel? As it says in the title, which Shinobi could take all 6 on without intel. It's exclusively the paths here, the only involvement Nagato has is supplying them with chakra. The shinobi can be living or dead, but no Edo Tensei and No Rikkudo Sennin. In all seriousness i think Madara Could beat them. I'm pretty sure that Sasuke could not beat them. 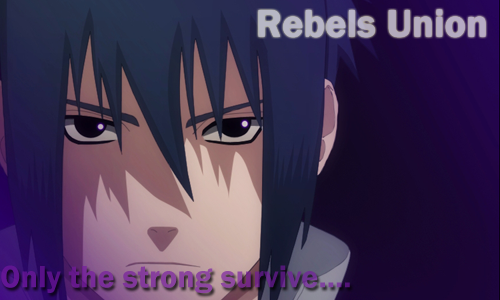 Sasuke ok ...power isnt everything. But Orochimaru ? he is slimy as snake... He know many tricks and have many hidden aces. Also he didnt play fair..
Kabuto in his new state could probably, like Kimphoe said. The guy's a genius, so he'd get all the intel himself during the fight. Shikamaru could probably also figure it out, but he just doesn't seem to have the strength to deal with it. Other than those mentioned, I think that a strong puppet-user could MAYBE take him on. I guess the poison would be pretty ineffective, but since he uses puppets, they would not risk their lives everytime they'd engage in combat. In other words, the puppets would function as testers to figure out the weaknesses. Rinnengan (I think so) has strong genjutsu,so Kabuto is pwned. Subject: Re: Who could defeat the Six Paths of Pain without intel?